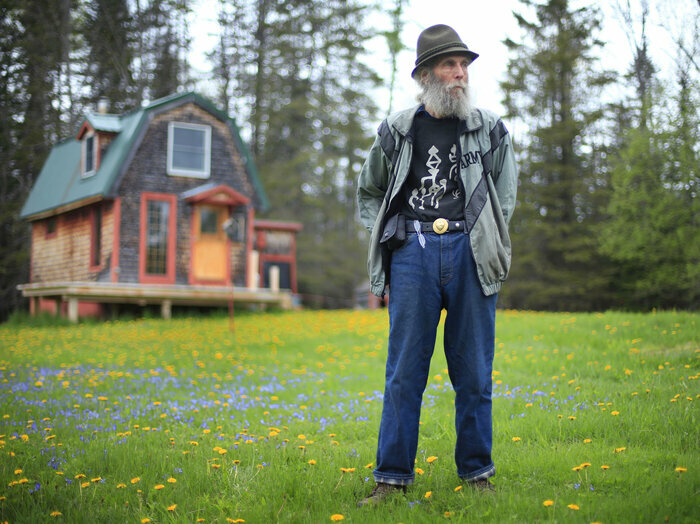 Burt Shavitz, the man whose face is on your minty Burt’s Bees lip balm and body wash, died on Sunday in Bangor, Maine. He was 80. NPR’s Elizabeth Blair reports that Shavitz’s death resulted from respiratory complications. “We remember him as a wild-bearded and free-spirited Maine man, a beekeeper, a wisecracker, a lover of golden retrievers, a reverent observer of nature, and the kind of face that smiles back at us from our Hand Salve,” the company says in a statement. Burt’s Bees says that before Shavitz became a beekeeper in Maine, he was a photojournalist freelancing in New York City, documenting key figures in the civil rights movement, beat poets and artists in the 1960s. When TV became popular, Shavitz realized that there wasn’t a big market for his photos anymore, The Daily Beast wrote in 2013. “In 1970, Burt threw his mattress in his Volkswagen van and, along with a few buddies, drove upstate to the High Falls, New York, area. After a series of heavy rainstorms, Burt decided to drive around and survey the damage. He stumbled upon a swarm of bees on a fencepost. The company grew and moved its headquarters to Durham, N.C., in 1993. But Shavitz’s partnership with Quimby unraveled in the late ’90s. The Daily Beast,citing Shavitz and a documentary titled Burt’s Buzz, says the two reached a settlement after Quimby found out Burt had an affair with a college-age girl who worked at one of the Burt’s Bees stores. Quimby eventually bought out Shavitz. Burt’s Bees is now owned by the Clorox Co.